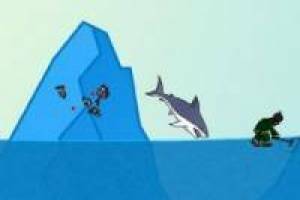 Biting everything you see with Tasty Blue Online, a game where you have to shark bite all humans and fish to see. 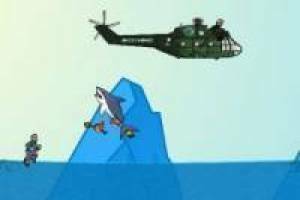 You are a shark trapped on top of a mountain in the Alps and has to prevent human wrecking the mountain. With your affiliates teeth any piece of meat will not resist and top it off you'll burst helicopters will try to capture you. 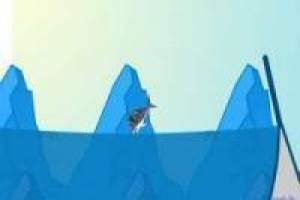 Enjoy the game Tasty blue online, it's free, it's one of our Piranhas games we've selected.